Rest your weary iron in between shots of steam and ardent pressing! 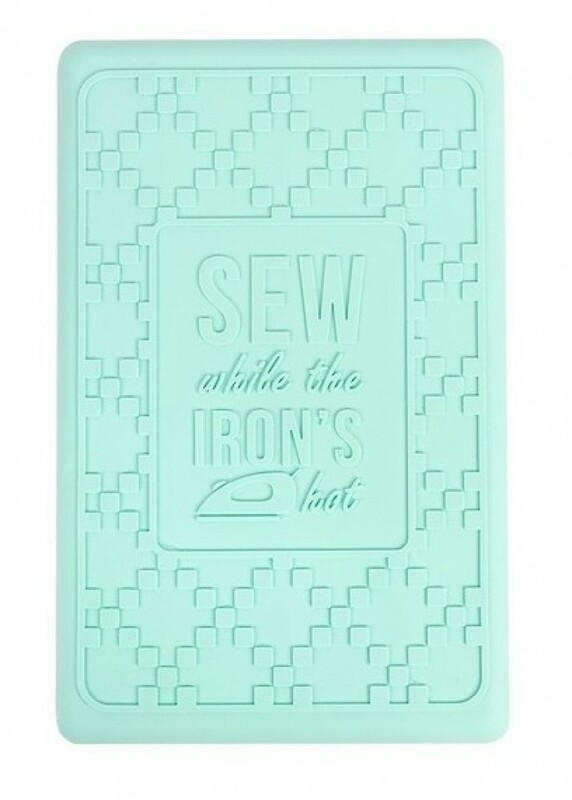 This heavy duty silicone iron rest in a minty fresh hue allows you to place your iron plate directly on the surface, so you can press on without it tipping over. The generous 7in (17.5cm) x 10.8in (27.6cm) size will fit most home irons and it can withstand up to 500 F (260 C). 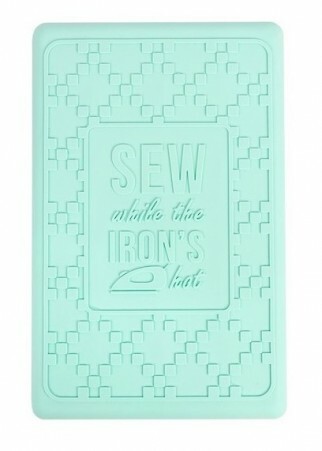 Plus, the moulded pattern and inspirational message will look sew cute in your sewing room!